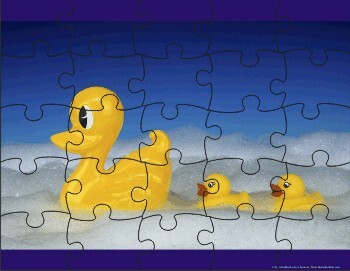 My geographical knowledge of Sydney is like this jigsaw puzzle. Except for the fact that it’s put together. And that it features ducks. Honestly, I’m crap at geography. When I play Trivial Pursuit it’s the category I always struggle with. I see those YouTube videos where Americans are asked to point to certain countries on a map, failing hopelessly, and I laugh. But then admit to myself I am a disgusting hypocrite because I would likely have similar problems. It’s an affliction that leads to me having a very limited idea of where everything is in Sydney. I’ve been up there quite a few times in my life but each place is like a separate jigsaw piece in my mind. And I often have no idea how they join together. Last Saturday I was in The Rocks – firstly at Harts Pub and then at the Lord Nelson. I had to leave the Lord earlier than planned, because a bunch of guys on a T-shirted pub crawl. One of my beer rules is to get out of a venue when a T-shirt pub crawl arrives. Not so much because of any fear of drunken violence, more because guys on pub crawls tend to be annoying dicks with the mistaken belief they’re hilarious. So I’m gone. But I wanted to go to check out the King Street Brewhouse, where Shenanigans have their beer on tap. I’d been there before, when it was a James Squire pub, but it was on a separate puzzle piece so I had no idea how far away it was. Looking at Google Maps on my phone (which is a step up – I usually print out the maps and carry them around as hard copies), I realised to my amazement, it was a virtual straight line south from one to the other. And less than a kilometre walk away. Wynyard down to Town Hall. I still don’t like geography much, but pairing it with beer does make it more enjoyable.